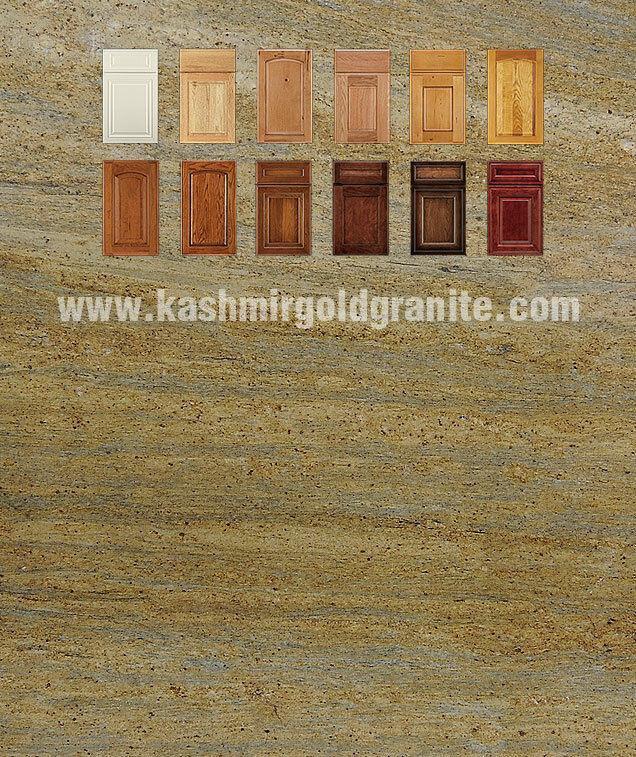 Photo Details: The honey golden oak of the kitchen cabinetry are beautifully highlighted by the golden yellow in the Kashmir granite that is the focus of this kitchen. 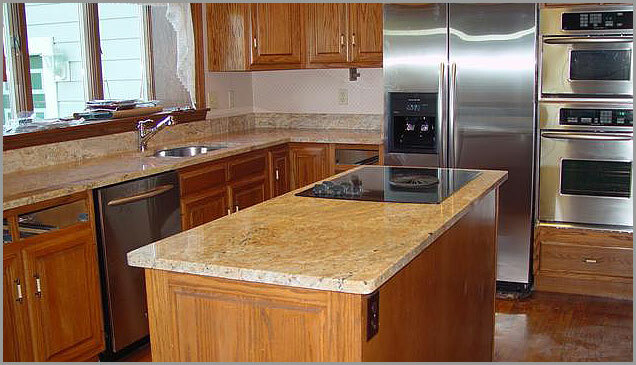 The brown and gold of the center island reflects the light from the large window over the stainless steel sink. The spacious Brazilian gold granite counter top provides ample workspace and the matching hues of the yellow gold island and flat top range creates a continuation of space or an entirely different smooth granite work station.